Signature Iron Doors is a proud leader in the iron entry door and Iron garage door industry and is currently servicing the state of Arizona. Our Iron doors are one of a kind pieces of artwork that can truly transform your home. Let your entry way to your home leave a long lasting impression and experience the security of your iron doors. Built with quality materials and with scroll work hand forged by fire our iron product are the best on the market. 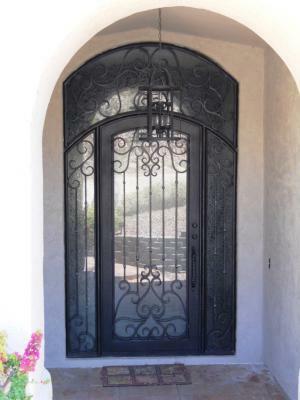 These long lasting and durable iron entry doors and iron garage doors can stand up the Arizona weather and paired with custom wrought iron railing , it can tie your home together beautifully and create the ambience you have always wanted . We invite you to visit our website and contact us to speal with a representative to find out how Signature Iron Doors can help you create the home you have always dreamed of.